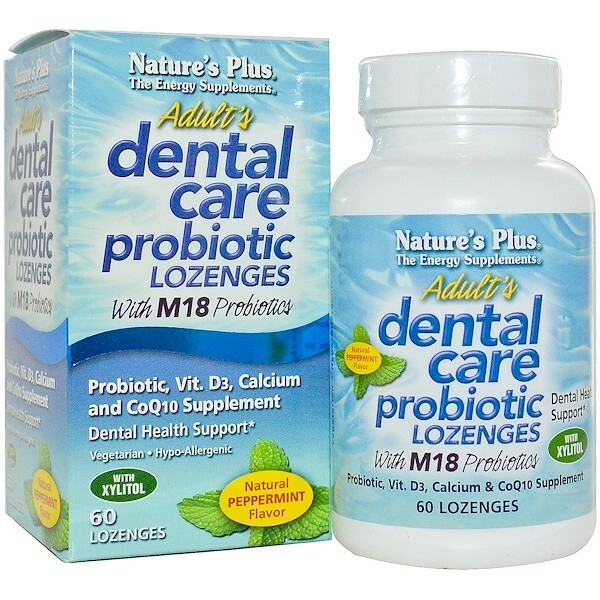 Adults Dental Care Probiotic Lozenges is the exciting new supplement with live M18 probiotic cellsand L. acidophilus, plus vitamin D3 and calcium for strong teeth. Other Ingredients Di-calcium phosphate, stearic acid, natural flavor, dental herbal complex: spinach (spinacia oleracea leaf extract), broccoli (brassica oleracea floret extract), fig concentrate (ficus carica), date concentrate (phoenix dactylifera), magnesium stearate, guar gum. Free from artificial colors and preservative. Free from the common allergens yeast, wheat, soy and milk. 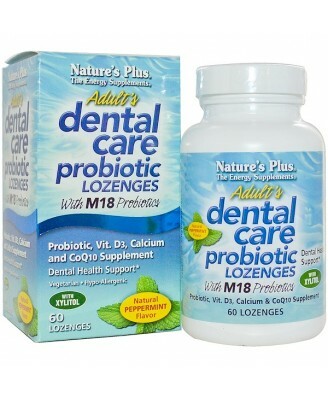 Adults Dental Care Probiotic Lozenges is the exciting new supplement with live M18 probiotic cellsand L. acidophilus, plus vitamin D3 and calcium for strong teeth! 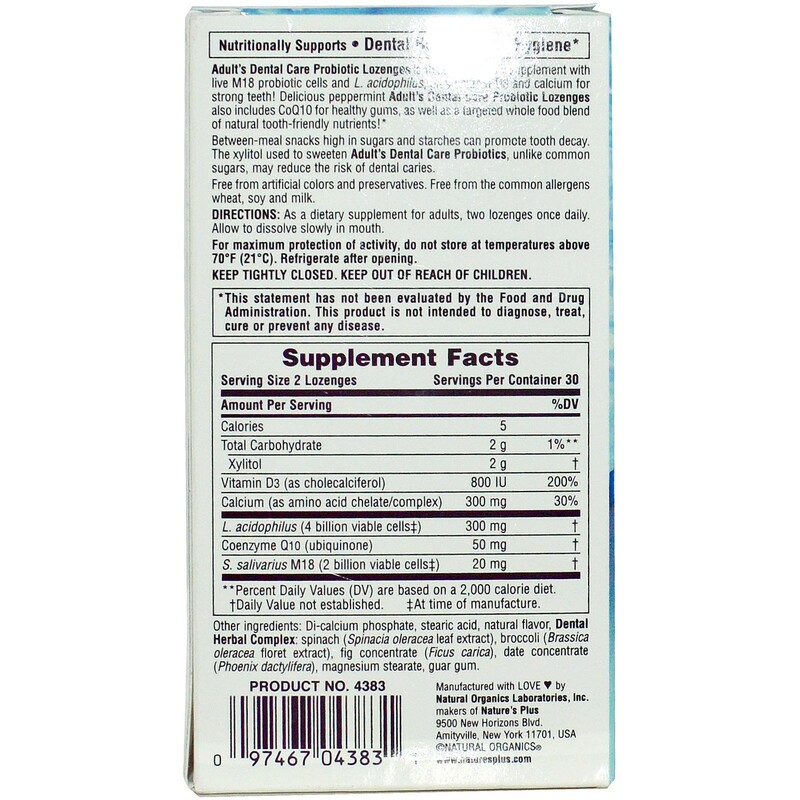 Delicious peppermint Adults Dental Care Probiotic Lozenges also includes CoQ10 for healthy gums, as well as a targeted whole food blend of natural tooth-friendly nutrients! As a dietary supplement for adults, two lozenges once daily. Allow to dissolve slowly in mouth. For maximum protection of activity, do not store at temperatures above 70F (21 Degrees Celsius). Refrigerate after opening. Keep tightly closed. Keep out of reach of children.